Traveling with your hamster can be a bit tricky and downright burdensome in certain situations. Which is why you’re going to want a high-quality travel cage that can safely secure your hamster. But therein lies the problem; there are a lot of travel cages out there, and it can make finding the best ones almost impossible. It doesn’t help that a lot of them aren’t high-quality and give your hamster the opportunity to escape. There are other variables to take into account as well such the length of the trips. As you’ll see later in the post, some travel cages are designed more for shorter trips; others are more practical for longer ones. The style of the cage may be another factor heavily in your decision. I mean, who doesn’t want their hamster to look adorable as you carry them around the vet office? With all this in mind, I thought discussing the travel cages I deem the best could lessen your burden. So please, read on and explore the ten best travel cages on the market! Sometimes you’re going to want something practical and lightweight for a shorter trip: a vet visit, taking a new hamster home, or any journey that only takes a couple of hours at most. 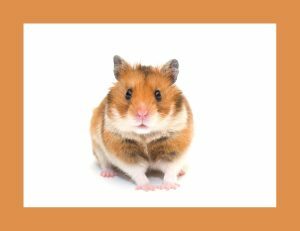 The following travel cages will be more than appropriate for these situations and will keep your hamster safe. This adorable little carrier has a practical design that comes with a handle for easy transportation. It’s also small and compact, which makes it ideal for securing a hamster during a shorter trip. The clear retractable roof will allow you to keep an eye on your hamster at all times. But you shouldn’t worry as the top isn’t entirely clear and will shield your little fur ball from the sun. This feature makes this cage a premier spot for your hamster to nap during their trip. This travel cage also has the added benefit of looking like your hamster exercise ball; this sense of familiarity will make them feel right at home during their trip. But it sadly doesn’t come with a water bottle attachment. You can fix this issue, however,by buying this water bottle extension from the same company. 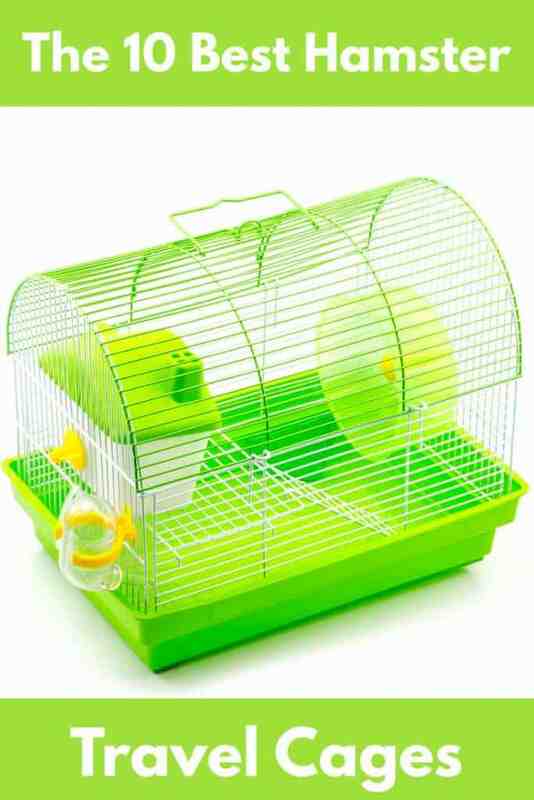 This colorful pet carrier is another excellent option for a hamster on a short trip away from their cage. It has a scratch-proof screen, which will ensure your little furball doesn’t escape. The screen will allow you to keep an eye on them at all times as well. The premium quality zippers will also make it tough from them to squeeze there way out of the carrier. And the nylon canvas material it’s made from is high-quality, which means it won’t wear down. If you’re worried about your hamster’s comfort, this carrier comes in three different sizes. But I’d recommend sticking to the small or medium as they’re more size appropriate for your little hamster. Either one will provide them with more than enough room. Click here to see more about this travel cage on Amazon. If you’re looking for something that’s best for one or two hour trips, this travel bag could be for you. This pouch is great for these short little journeys as it offers remarkable breathability and ventilation. 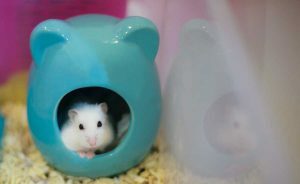 The sturdy zipper and all binding lining will ensure your hamster has no chance to slip out of the pouch. The high-quality material it’s made from will also make sure their both comfortable and secure. The breathable mesh window gives you the option of taking a peak and seeing how you’re hamster’s doing. But since it doesn’t have a place for a water bottle or food dish; this travel bag is strictly for one to two-hour trips. Fashionable and ready to keep your hamster safe, this RYPET bag’s another excellent option for your next vet visit. The design isn’t only stylish, but its also bite and wear resistant. A great feature to have with a chewing machine like a hamster. The best part about this bag is that it’s well-ventilated with its mesh design. This feature will create plenty of breathable air and make them feel as comfortable as possible. The bag also offers you a choice of how you want to carry it. You can either use the shoulder strap or the handle on top of it. It’s another convenient feature offer by this fantastic pet travel bag. And if a bathroom accident ends up happening, there’s no need to worry; the material is waterproof as a precaution for this very situation. The Petsfit Small Pet Carrier might be the last short trip travel cage, but it’s certainly not least. It’s an escape-proof option that doesn’t hold back when it comes to ventilation or security. The carrier is made out of high-quality EVA material; even the most rambunctious hamster would have issues chewing through this travel carrier. The EVA material also ensures the carrier will keep its shape and be wear resistant. If your hamster has a bathroom accident, this travel carrier has protection against that as well; it’s completely removable and machine washable. In all aspects, this carrier seems like a high-quality travel enclosure ready to safely transport your hamster. The longer trips are ones that last over a day. And these journeys are going to require carriers with the full amenities: water bottle or dish, wheel, a lot of ventilation, food dish, and see-through walls. All of these will be essential features that a travel cage appropriate for a more extended trip needs. It should ideally seem like a smaller version of their cage that your hamster has at home. With its see-through top alone, this IRIS critter carrier becomes a must-consider travel cage. But this quality isn’t even the best one this product has to offer a hamster owner. It also comes with a water bottle included, which tells you this cage is ready for longer trips. Given the vast amount of space it offers, you could easily fit all the other essential items as well. Your hamster will feel right at home in this fantastic cage from IRIS. It’ll make sure they’re comfortable, safe, and secure during your long trip; the sturdy plastic walls and great ventilation will offer them some peace of mind. And that’s honestly all we can ask for as hamster owners. The best thing about this Kaytee travel cage is it has all the essential amenities included with your purchase. There’s no having to attach on water bottles or put in wheels. All of these things are already inside the cage when you first get it, which makes this product top-notch. The handle on top of the cage is another feature you must not overlook. 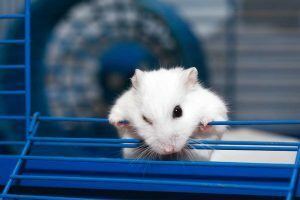 It might seem like a simple and rather unimportant thing; however, it does make moving your hamster from place to place unbelievably easy. With its incredibly sturdy walls, this cage will ensure your hamster stays within the habitat. A hamster would be hard pressed to chew through the plastic walls of this high-quality habitat. And when you’re not using it as a travel cage, you can connect it to other habitats. This feature will allow your hamster some familiarity before housing them in it during your long trip. Click here to see more about this travel cage on Chewy. A number of things make the Living World Hagen Pet Carrier standout from its competitors: its well-crafted walls, incredible ventilation, non-slip floors, and skylight. All of these features speak to how well this product would function as a hamster travel cage. This carrier even has two different handles, which allows you to pick the one that’s more comfortable for you. It seems this product is the cream of the crop when it comes to travel cages. This travel cage does have a serious flaw, however; it doesn’t come with a food bowl/dish, wheel, or water bottle. But you could easily put all of these things in this carrier with the vast amount of room it offers. It’d be a relatively simple process and wouldn’t cost you much of anything. In all honesty, you might even end saving yourself some money compared to buying one of these other options. You most likely won’t find a more adorably designed travel cage than the Kaytee Crittertrail Off To School Pet Carrier. I mean, it’s a cage that looks like a school bus after all. Aside from its cute school bus design, it comes equipped with all the necessary features needed for a long trip: a wheel, water bottle, sturdy plastic walls, ventilation, food bowl or dish. It has all of these and more. But it doesn’t have a lot of space, which makes it a bad option for Syrian hamsters. If you have a Syrian, I’d recommend only use this as a short trip travel cage; you could even attach it to your bigger cage and make it apart of your hamster’s normal habitat. For dwarf hamster owners, I don’t think there’s a better option available to you. It’s really a shame that there isn’t enough space to reasonably use this as a Syrian travel cage as well. You’d just know they’d love it. Built from powder-coated metal, the GNB Pet Petite Habitat will have no issues keeping your hamster inside its walls. It’s not likely hamster will want to get out anyway as this travel cage has two levels from them to explore. It also includes every necessary feature we’ve discussed before with the addition of a plastic house. It even gives you the option of four different colors to pick from; it seems like this travel cage has everything a hamster owner could ever want. I didn’t even mention yet that the design is detachable, which makes it’s incredibly easy to clean and install. Its also proven to withstand even the feistiest hamsters attempts at escaping. Given all these features, I’m confident in saying you can’t go wrong with purchasing this travel cage from GNB Pet. So, after seeing all of these high-quality travel cages, which one did you like the best? Leave a comment down below and let us know!